DI signals, each operating on a separate wavelength, there ists the possibility for damaging the connector ferrules when would be 4 unique parts numbers for these transmitters (one mating ferrules with different end polishes. This will be dis- for each of the 1510 through 1570nm wavelengths). Howev- cussed in more detail in a subsequent article on connector ter- er, since the wavelength demultiplexing or separation is done minations, cleaning and inspection. 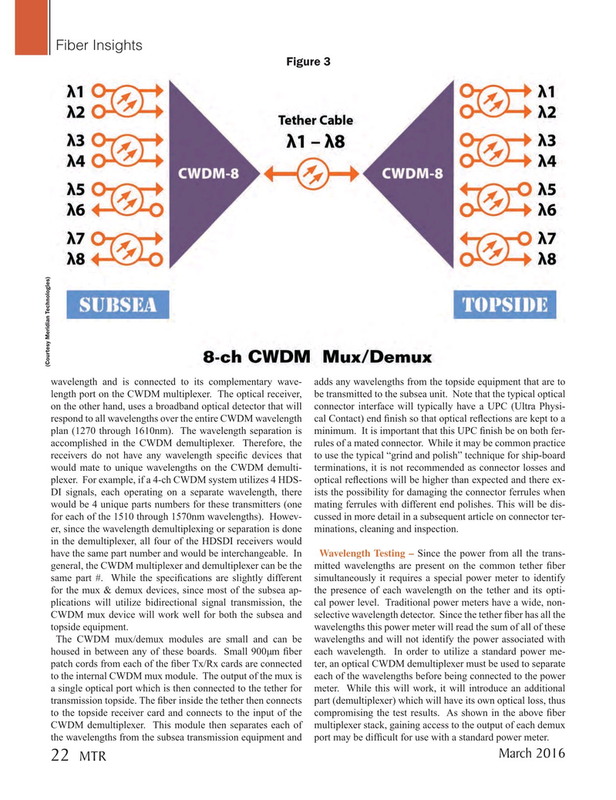 CWDM demultiplexer. This module then separates each of multiplexer stack, gaining access to the output of each demux the wavelengths from the subsea transmission equipment and port may be dif? cult for use with a standard power meter.